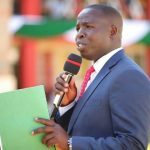 Nandi Governor Stephen Sang has asked farmers in the county to take coffee farming seriously after President Uhuru Kenyatta signed deal with China last year. Sang spoke when he inspected several development projects in Tindiret Sub County.Tindiret in the county is well known for coffee growing. 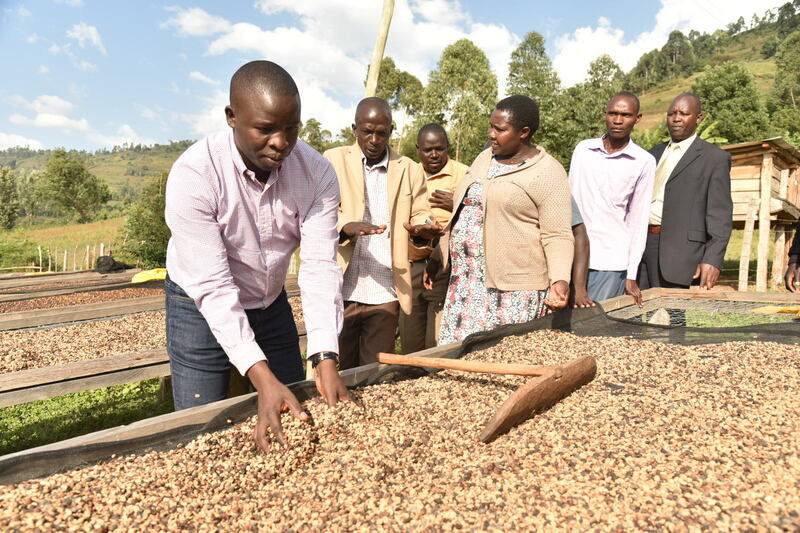 However Sang said more need to be done in order to recruit more farmers to practice coffee farming through cooperative societies. This, he said, will help in increasing their economies of scale hence more returns in the market. “Last year I was part of the delegation that went with the president to China where he signed an agreement for our products to be sold in China. He signed a deal for coffee, tea, academia and other products,” Sang said at Seiyot Farmers Cooperative Society. Already the county has distributed over 10,000 coffee seedlings and 200kg of coffee seeds to cooperative societies in the county. 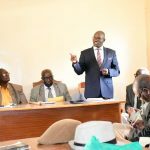 “The county is focused on strengthening cooperative societies through availing to them necessary support for their growth. It is through such cooperative that we will be able to empower our farmers as we seek to fully venture into agri-business,” He added. 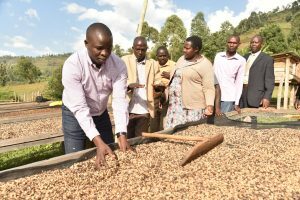 “We will distribute more seeds and seedlings to farmers through cooperative socities.My focus is to turn this region into one of the leading coffee producing areas in our country,” He said. Many farmers growing coffee in the region are old but Sang want youth to be incorporated into the business for livelihood improvement. “I want to also ask you parents to allow youth a portion on your land so that they can also plant coffee. This will ensure that they are economic independent and everybody at the end get income to pay schools fee and other expenses,” said sang. 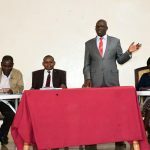 According to Sang, he will work on the formulation of policy framework together with the county assembly to see to it that they consolidate the county’s market for the produce so that they can be able to export to overseas markets.